Some years ago, I spent a bunch of time in France. As an American, I found cracking the social code there challenging. Then a friend told me the secret of what’s different in France than in the USA. French people reserve familiarity for their friends and families. Americans enjoy getting friendly with strangers—even if only for a few moments at a time. If you’re American and have spent time in both France and the USA, understanding this requires no more than looking at how you interact with waiters there versus at home. Your server at Applebees is your friend, while a serveur in France is just that—a servant. What conversations are allowed with friends and servants aren’t the same. At all. Over the years, France has come up a few times here. There’s a different view of customer service over there, for example. And the French floated an interesting solution to music piracy, before streaming all but ended that conversation. Jeff Bezos taught France a tough business lesson in flexibility. And then there’s the “right to be forgotten” controversy France kicked up a few years back. Google won’t be backing down to the European Union, and I’m pretty sure France is even worse off. It’s years later. I’m older. I hope I’m a little wiser. I make a living communicating and teaching others how to communicate. So I’m not surprised when something I’ve known for a while gets expressed in a new way. What conversations are allowed isn’t just a matter of culture, but also of context. And darn it if this story isn’t about France. Speaking as an American, I guess I understand why I’d never considered this context: One of the most common questions in American small talk is considered rude in much of the world. I’ll bet you hadn’t thought about that. Why would what they do be the first thing you ask someone you’ve just met? That’s not what defines a person, is it? In the simplest sense, this might not seem like a good question to examine here. After all, Answer Guy Central is all about business change and business communication. Business is on my mind pretty much all the time. But the business landscape is changing; my fascination with millennials is all the proof you need of that. But in the business world your job is getting business done; maybe the Millennials thing isn’t a great example. 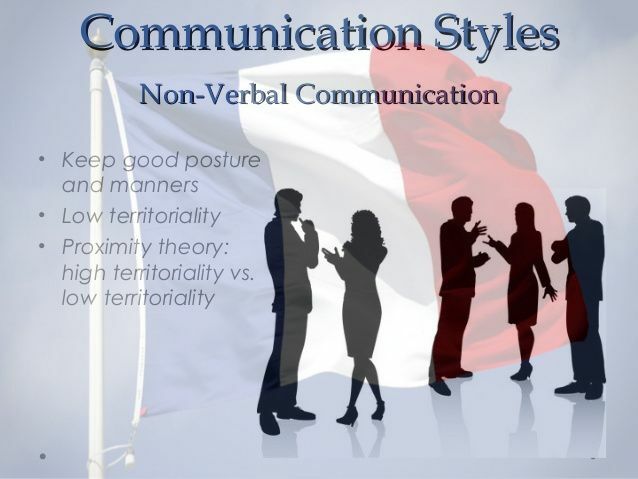 Until you think of Millennials in the way I’m referring to the French; do Millennials speak a different language? I’d say something snarky, like “it depends on the day of the week”, but that’s probably wrong. Truth is, Millennials really do have a language of their own. And there are places where it might not intersect especially well with common English. If you’re running the show, ultimately you’re the final arbiter of what conversations are allowed. The issue is recognizing what “running the show” means. Too often, Americans suffering from “ignorant American disease” believe they’re in charge—just because. Bosses sometimes suffer from a similar misunderstanding of what makes them “in charge”. Sure, you’re paying the bills, but both your employees and customers may not see the world that simplistically. If you miss the “different language signs”, you’ll miss opportunities, too. And that’s a place where knowing what conversations are allowed can matter to your business. Wanna talk about it?